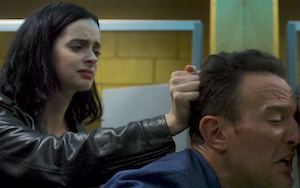 The Pop Culture Podcast by Phantastic Geek: Jessica Jones: 207 "AKA I Want Your Cray Cray"
As Alisa recounts her recovery at IGH, parallel flashbacks inform Jessica’s ill-fated relationship with Stirling and Trish’s pop career pushes her into old habits. Matt and Pete serenade episode 207, “AKA I Want Your Cray Cray." Reach out and say hello at PhantasticGeek.com, Facebook.com/PhantasticGeek, Twitter.com/PhantasticGeek, or PhantasticGeek@gmail.com.